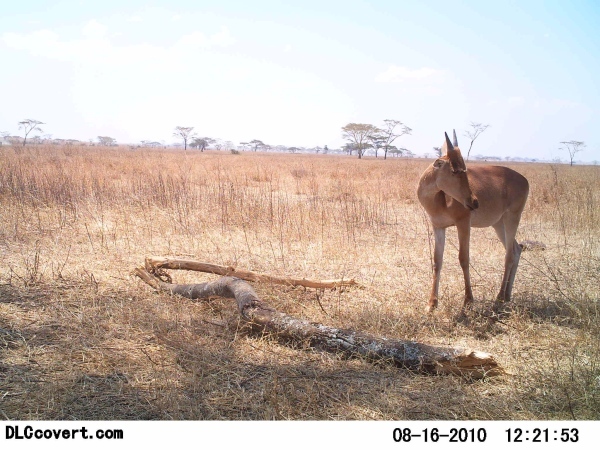 This data set contains 1.2M sequences of camera trap images, totaling 3.2M images, from seasons one through six of the Snapshot Serengeti project. Labels are provided for 48 animal categories, primarily at the species level (for example, the most common labels are wildebeest, zebra, and Thomson’s gazelle). Approximately 70% of images are labeled as empty. We have also added approximately 100,000 bounding box annotations to approximately 38,000 of those images. Please cite this manuscript if you use this data set. Annotations are provided in the .json format used by the COCO data set. Note that annotations are tied to images, but are only reliable at the sequence level. For example, there are rare sequences in which two of three images contain a lion, but the third is empty (lions, it turns out, walk away sometimes), but all three images would be annotated as “lion”. For questions about this data set, contact Sarah Huebner at the University of Minnesota. The original Snapshot Serengeti data set included a “human” class label; for privacy reasons, we have removed those images from this version of the data set. Those labels are still present in the metadata. If those images are important to your work, contact us; in some cases it will be possible to release those images under an alternative license. Additional metadata related to the aggregation of human labels into consensus labels is available in an addendum.